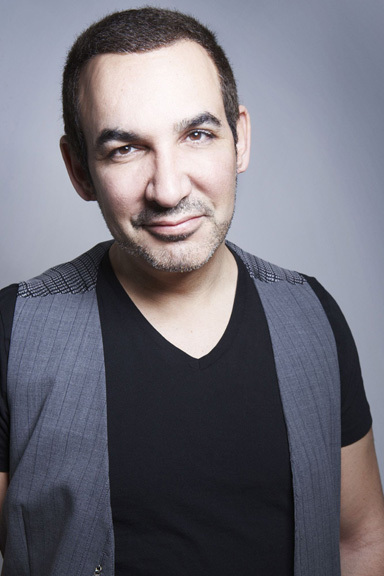 Alki David, the founder of FilmOn.com, has given his complete viewpoint on the future of FilmOn, his insistence for transparency in the television industry and even his views on his love for America in this extensive open letter. Take a look at his letter below, as well as his interview with Bloomberg’s Street Smart, and write what you think in the comments section below. You can also learn more about David’s crusade against CBS and file-sharing by clicking here. One by one we will be negotiating residual fees with these Independent broadcasters. Some of which we already have partnered with. This model will set a standard by which company’s like Aereo will have a tougher time establishing the precedent of not paying broadcasters for the content that they own. Sadly the Major Networks have refused time and time again on negotiating with us. I do know that the reason is actually personal and that I am deeply disliked by certain individuals at these organizations. The reason why the Networks want me and my company FilmOn dead (literally dead… I will elaborate later), is because they are afraid that the real time online viewing stats of who is watching what and when will devalue their currency of the already crumbling Nielsen rating. Broadcasters will have to rethink the way they do business rather than rip off Advertisers and the Consumer. Until 1987 the FCC called the Fairness Doctrine, “the single most important requirement of media operation”. The Broadcast Act, the FCC and the Constitution dictates that FilmOn should have the right to stream free to air channels to the public but the Networks will stop at nothing to keep FilmOn down. The Major broadcasters will apparently lie cheat, vilify and even make death threats at me and my family, to keep companies like us out of the picture. As much as I’d like to not have the Majors on our system, they are a necessary evil as the unwitting consumer expects them to be there. The consumer has grown to trust the Major Networks and literally believe that what they are told is factual and the public’s best interest. The FCC’s “Fairness Doctrine of 1949” says that in the public’s best interest a broadcaster must “expose its audience to a diversity of viewpoints” and that this should be done in an “honest, equitable and balanced way”. For the majority of the public what they see and hear on TV is how the world really is. Even if a person is cynical of what they see in the news or understand from a TV show, that cynicism will eventually washed away by repeated messaging. After all we do not live in a fascist or totalitarian state, we are free thinkers living in a democracy where government ensures that our rights are protected. That what we see and hear in the public airwaves is indeed governed by the spirit of the Fairness Doctrine. However, the lifeblood of Network Television is the Nielsen rating system. With Nielsen ratings in hand the Networks can charge Advertisers inflated prices for advertising space on their channels. Though this model is crumbling from the inside the TV Networks will stop at virtually nothing to maintain the charade. Channels that by many accounts are watched by an audience whose average age is 50 and not representative of the overwhelming majority of consumers in the USA whose average age is 35. Advertising Agencies are complicit too because they get commissioned on their spending. The groups within these agencies holding on to the bigger TV budgets are constantly wrestling over their dollars with their lesser-budgeted digital colleagues. There is hope however, many publications such as Forbes forecasts that online ad spending will take over television by 2016, and already 37%+ of all ad spending is done online now. Like the Music Industry, unless TV Broadcasters embrace innovation, traditional big-time TV will die. If that is the case the Major Broadcasters have no one else to blame but themselves. The Cable companies too are bemoaning the Networks’ hiking of retransmission fees but they play along because they get a second bite at the cherry by selling space across their own Networks. The entire TV industry is complicit and everyone knows it. They have known it for years. The King has no clothes but who cares so long as the Advertiser is spending! Last year I was speaking at a panel in Boston along with The Nielsen Co. SVP Scott Brown who was clearly at a loss for words when questioned by the audience on Nielsen’s inability to offer measurement standards by which the rest of the industry could follow. In an age where free Television should be online and available to all; surely Nielsen’s was capable of developing a system as rudimentary as this to measure online viewing stats. After the panel I reached out to Scott and extended FilmOn’s cooperation to help grow their online data with the now seemingly defunct OCR measurement system that Nielsen’s was developing and stalling for so many years. After all there are not many companies like FilmOn with real time global stats on the world’s most influential broadcasters. In the USA we carry all four of the major broadcasters in fourteen major cities as well as a huge and diverse offering of additional content. Surely Nielsen’s online efforts would be greatly aided by FilmOn. Last year the senior Editor of the Hollywood Reported, Eriq Gardener interestingly covered a multi billion dollar lawsuit, filed against Nielsen’s in New York by India’s oldest and largest Broadcaster, NDTV. The charge is that Nielsen has been manipulating viewership data in favor of channels that are willing to provide bribes to its officials. Nielsen’s 10 000 sampling family homes, pale in comparison to FilmOn’s millions of daily connections. FilmOn’s online stats would be a goldmine for someone in the business of accurately reporting consumer behavior. After all Nielsen doesn’t have access to online viewing behavior of Network TV because by their account, it doesn’t exist! The purpose of FilmOn is to give consumers the full live television everywhere experience combining traditional linear live TV, Video On Demand and the more modern Social/User Generated Television. FilmOn licenses content from many different content providers and in some cases produces its own branded content. FilmOn spends millions of dollars a year with content providers in the acquisition of this content and in many cases original first run content. FilmOn believes that the free to air channels available to the consumer should also be made available via the FilmOn service. This belief is not a misguided justification but based on the principles of the laws that govern broadcast, the constitution and most importantly what is best for the consumer and the public at large. The Television and News Networks and their legal representatives have created such a charade of manipulating the truth over their audience viewing figures that they are desperate to label FilmOn as a pirate, a thief and many other similar untruths. FilmOn feels that it has been unfairly targeted by Major Networks in the US for the company’s visibility and in particular for its colorful founder’s attitude at defying convention and fighting back against the odds to protect the Company’s vision and social responsibility. All the company’s principal officers have extensive careers in film and television. FilmOn in fact owns a TV station in Los Angeles and also owns a vibrant library of film and television shows that it has created over many years. Now about the death threats I received last year. Oddly these threats demanded that I stop pursuing the Networks and Aereo also as if I was some kind of pariah want to get in a tight little circle I had no business being in. The letter started with with “Listen you greasy Nigerian”… Well seeing I was born in Africa and I’m of Greek origin carrying a British passport, I guess some of this makes sense to someone! However what was most insulting was not the racist remarks but the personal attack, clearly written by an angry old man from another age. It was actually quite amusing so the threat was very short lived. FilmOn is also suing Fox Television and its legal representation for its anti competitive tactics in trying to influence partners of FilmOn to not do business with FilmOn, inaccurately portraying them as outsiders and pirates. Shortly after I first settled the first round of lawsuits wit the majors, I had several conversations with senior NBC executives, Ron Lamprecht, Daniel Kummer and Dawn Bottii. The idea was that FilmOn would license content from NBC Universal Remember at the time and under the Comcast/NBC merger antitrust requirements issued by the FCC, NBC had to fairly license content to us as we are and MVPD (Multichannel Video Programming Distributor). I remember the audacity of these people offering us a 1930’s TV series for one year at $500 000! Sadly this is absolutely the way it was and I even had one of lawyers Toby Butterfield of Frankfurt Kurnit Klein, listening in, just in case they pulled a stunt like this. Like Nielsen, the UK has a rating system called BARB which works on the same principles as Nielsen but even less accurate (if that is at all possible!). FilmOn is currently preparing another series of lawsuits in Europe against broadcasters for being complicit in creating a cartel that is so anti competitive, it not only seeks to keep tech oriented newcomers out but has for years manipulated viewing figures to such an extreme that it has fostered another false economy. Globally it seems that consumer choice, innovation and freedom of expression is only represented by a select few who have control over the most influential media in the world. FilmOn operates a free to air channel in the Los Angeles market serving its fair to 6 million cable homes and 750 000 free to air homes. For FIlmOn to sell advertising in this market we need to have Nielsen ratings otherwise the Ad agencies wont even look at us. For the last few months we have been testing with Nielsen and learning how Nielsen operates. Did you know that there are 1000 Nielsen Family homes (up until recently it was 500), in the whole state of California monitoring 1350 channels available on Time Warner Cable in LA! Out of these 1350 channels, Nielsen can only actually see the hundred or so channels that actually have bought a system to transmit to Nielsen a tagging signal for the Nielsen system. Out of these channels the Nielsen system will only rate the ones that pay them a subscription fee of a few hundred thousand dollars a year! You can draw your own conclusions from this. By comparison in the LA market of 6.5 million Cable Homes, Dish Networks has 400, 000 subscriber homes in LA with set top boxes that spew out daily viewing data. Melisa Ordonez a senior officer at Dish Networks said to me “rarely do Nielsen ratings and Dish’s stats ever align”. If you are wondering why I bother, it’s because the Networks drew first blood and because I have children. By the time you have read this, I will have another newborn. However I can help to have my children grow up in a World that is a little more transparent, filled with a little less corporate cruelty, so much the better. As a Brit I came to America with a dream…. to live the American dream! A place where a man can work hard and be rewarded for his contribution to society. Off and on I have lived about a fifteen years in the States. As soon as I was old enough in the 90’s I migrated to California. My wife is from Whiteplains, New York and my first two sons were born in LA I am a major shareholder of Coca Cola Hellenic, the largest independent distributor of American champagne worldwide. I pay taxes in the US and so consider myself an insider and deeply entrenched with Americana. A country I love and people I am profoundly close with. So it pains me deeply to see at first hand the corruption and neglect that has infected the American Broadcast companies CBS NBC and ABC. The corruption I speak of is not just of the double standards the officers of these companies perform their duties but actual and racketeering of Advertisers and ultimately the public that they serve.